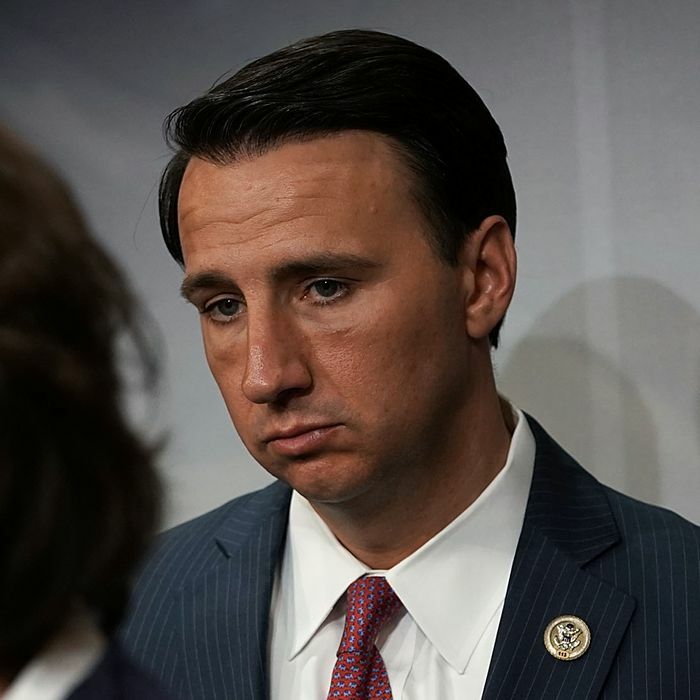 After the Pennsylvania Supreme Court issued a new map to replace the gerrymandered version that favored the GOP, U.S. Representative Ryan Costello was among the handful of Republicans who called for the judges to be impeached. A month later, with even the Republican majority leader of the state House criticizing the impeachment effort, Costello has decided to withdraw from the midterm race instead. Costello, who was first elected in 2014, was already facing a difficult reelection campaign before the new congressional map shifted his district from being an area where Hillary Clinton won by one point to one she would have taken by ten points. However, Costello denied that he was retiring from Congress because he was afraid of losing. In addition to considerations for his young family, he cited the “political environment” for his decision. “Whether it’s Stormy Daniels, or passing an omnibus spending bill that the president threatens to veto after promising to sign, it’s very difficult to move forward in a constructive way today,” Costello told the Daily Local News. In an interview with MSNBC’s Kasie Hunt on Sunday night, Costello was candid about the pressure on Republican lawmakers heading into the midterms. Costello’s exit will likely make it harder for Republicans to hold on to the suburban Philadelphia district. He had already filed for reelection, and said he needs to talk to party leaders about how to proceed. If he withdraws from the race in the next 48 hours, attorney Greg McCauley will be the only Republican candidate for the nomination. If Costello remains on the May 15 primary ballot, state and local GOP officials could name a replacement candidate. The Democratic front-runner, Chrissy Houlahan, fits the Conor Lamb mold: the political newcomer is an Air Force veteran, MIT grad, and businesswoman. Houlahan has already raised more than $1 million and secured the endorsement of a number of Democratic leaders. Costello is the 24th House Republican, and the first since Lamb’s win, to announced that they are retiring from Congress at the end of the term and not seeking higher political office. Democrats need to pick up 23 seats to win the chamber.